GU long around 2.20pm at level 1.6330 with lot size 0.02. Trading the range with no directional bias. 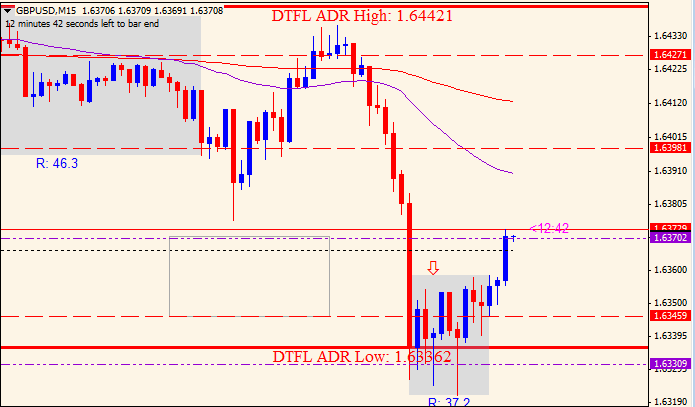 The significant level 1.6346 was the range low from the start of the week which was made during Monday’s NY session. Made a mistake actually, went long on the blue pin bar (shown with arrow) as I’d mistaken the previous two candles to be the stop run and confirmation up. In hindsight, it clearly isn’t! However the following candle confirmed up with the next two candles providing adequate pullback for a nice entry within 15 pips of the low. Overall, I felt confident with this trade, mood was fine. Also, big props to DayTradingForexLive who I’ve been learning with. One post I’d highly recommend you read would be “The Forex Traders Holy Grail – What Most Forex Mentors Won’t Say” – it explains the methodology that I use for taking trades and balancing my risk/reward and win/loss ratio.